I have always been into natural unpackaged foods especially fruits. And of course with the sweet tooth I tend to have on a regular basis what better way to substitute artificial sugar than with fruits? Sometimes on our quest to find healthier foods to eat we always end up encountering very bland, tasteless and just plain nasty alternatives. This usually always leaves you wanting to go back to your tasty (unhealthy) comfort foods. But just imagine a fruit that can trick your taste buds into thinking a lemon is sweet? 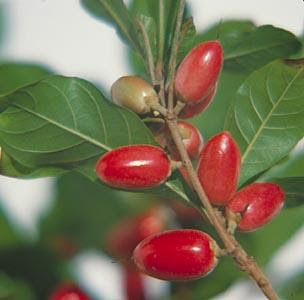 Well there is a berry that actually exists and its called miracle berry (Synsepalum dulcificum). This fruit will actually trick your taste buds into thinking that every sour/bitter thing possible taste sweet. Native to Africa, this berry could most likely substitute or even eliminate your need for sugar and artificial sweetners. The FDA however did not approve miraculin perhaps fearing the great losses the sugar companies would encounter. I have read of “flavor tripping parties” where people indulge in all things sour and it kind of sounds like fun. 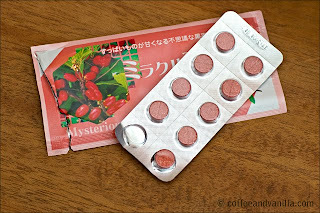 You can purchase Miraculin in tablet form or the fruit itself. I’m curious and will have to check out my local natural health store to see if they carry some. I wonder what it does with vegetables or cod liver oil? Also I wonder how effective if it would help diabetics and those unforgiving coffee lovers.